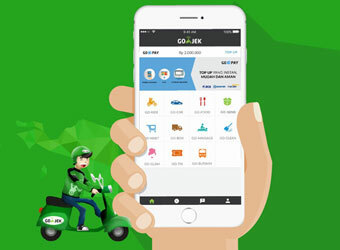 Jakarta-based PT Go-Jek Indonesia, which runs personal transportation and hyperlocal shopping app Go-Jek, has secured $550 million in funding from a clutch of investors that include investment firms KKR, Warburg Pincus, Farallon Capital and Capital Group Private Markets. Existing investors Sequoia India, Northstar Group, DST Global, NSI Ventures, Rakuten Ventures and Formation Group also took part in the round, the company said in a statement. The development comes barely a month after The Wall Street Journal reported that Go-Jek was in talks with KKR and Warburg Pincus among others to raise up to $400 million. The latest round of funding is seen as a war chest that Go-Jek is building to fight competition from Uber and Grab. Go-Jek said it will use the funds to help enhance the scale and quality of its on-demand platform and application services. The urban transportation startup will also deepen its offerings in Indonesia and across the region by leveraging the domain experience of some of its investors in telecommunications, media and technology space as well as their global network of partners, the company said. According to Techcrunch, the deal would value the startup at $1.3 billion post transaction. "Go-Jek is well positioned to become the 'go to' platform for high frequency daily services including transport, food, logistics and payment," said Jeffrey Perlman, head of Southeast Asia at Warburg Pincus. Founded in 2010 by Harvard alumnus Nadiem Makarim and Michaelangelo Moran, Go-Jek runs the largest network of bike taxis in Indonesia and has partnerships with about 200,000 motorcycle and car driver partners and 5,000 truck drivers. Considered one of the world's fastest-growing startups, Go-Jek's operations started seeing traction only after the launch of its bike-hailing app in January 2015. Besides urban transportation, the Indonesian startup also offers food delivery, aggregation platform for shopping centres and e-wallet. The company has 35,000 food merchants and more than 3,000 service providers on its platform. In Indonesia, Go-Jek faces competition from the likes of Uber, which started offering two-wheeler hailing services through UberMotor in February. It also faces competition from Grab, another prominent Southeast Asian player in the same space. However, Go-Jek is currently considered the market leader in the two-wheeler hailing segment. In February, Go-Jek acquired two Indian startups--software engineering firm C42 Engineering and infrastructure automation startup CodeIgnition. Go-Jek also said at the time that it would tap into India's product development talent by setting up an R&D centre in Bengaluru. In India, cab aggregators Uber and Ola experimented with bike-hailing services in Bengaluru in March, within hours of each other. However, the services were shut down within days as transport authorities cracked down and impounded several bikes driving under Uber, deeming the services as operating without relevant permits.